Known for some of the most revered golf courses in world, the city of La Quinta is also revered for its secluded feel, its desert mystique, and its stunning scenery. Not to mention its estate properties, the finest of which combine a sense of history and a modern aesthetic. 49080 Eisenhower is a remarkable five-bedroom estate located just one block from the renowned La Quinta Resort & Club. 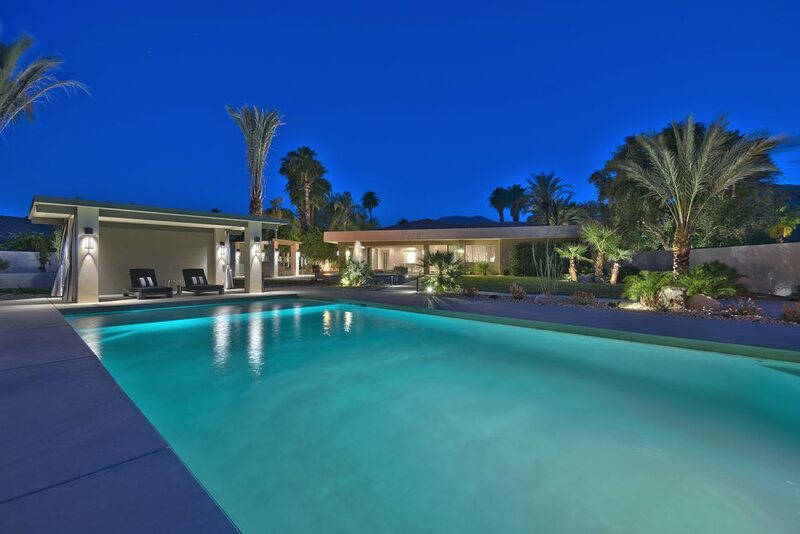 Built in 1989, the home was completely redesigned and renovated from top to bottom in 2014 to create the definitive example of a desert contemporary. Privacy gates provide a grand entry into the main home, as well as the two-bedroom casita. 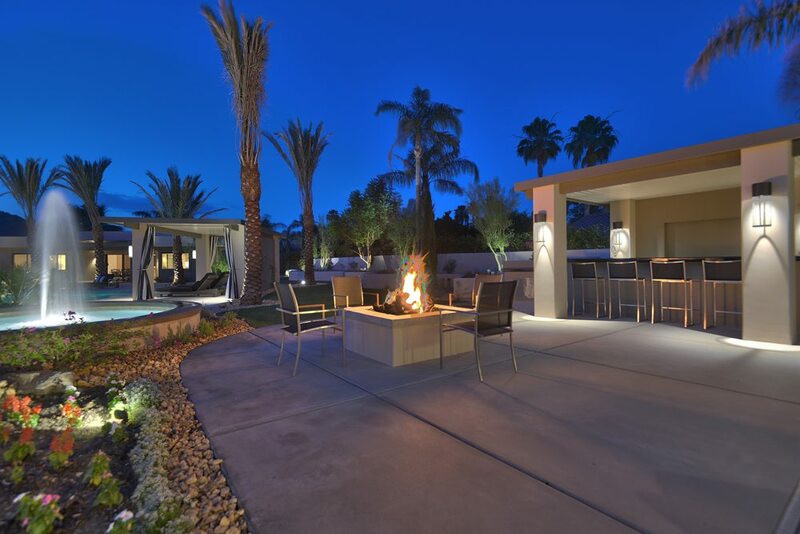 Once inside the three-bedroom primary residence, unmitigated modern luxury and resort-style grandeur await with a wide-open floorplan and an emphasis on indoor-outdoor living worthy of the desert. The expansive great room can accommodate any size gathering, whether residents are hosting extended family or throwing a soiree for 100. A wall of glass in the dining room disappears to erase the barrier between inside and out and invite guests out onto the covered patio. All told, the home presents 28 feet of bifold doors. 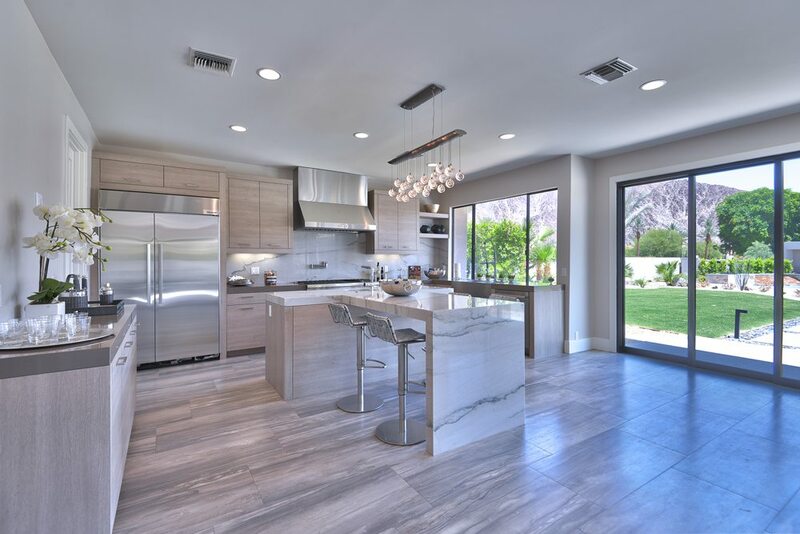 The brand-new gourmet kitchen features custom cabinetry, commercial stainless steel appliances including double refrigerator and professional range, and a marble island with waterfall edge. 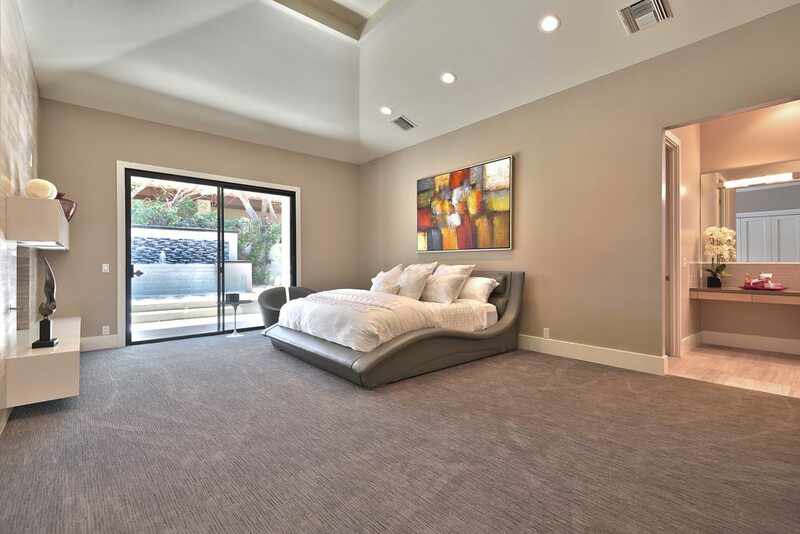 In the master bedroom, serene relaxation abounds, while the master bath is a showpiece with floating cabinets, a large soaking tub and a glassed-in shower. The home also offers a separate living area that can be used as a formal gathering space or theater room. The resort grounds are just footsteps away, with an entertainment courtyard that features a 40-foot saltwater pebble tec pool, a cabana, a full outdoor kitchen under a shaded cover, and a fire pit for cool desert evenings. A separate serenity pool and spa, multiple fountains and covered areas, lush gardens, towering palms are also offered. 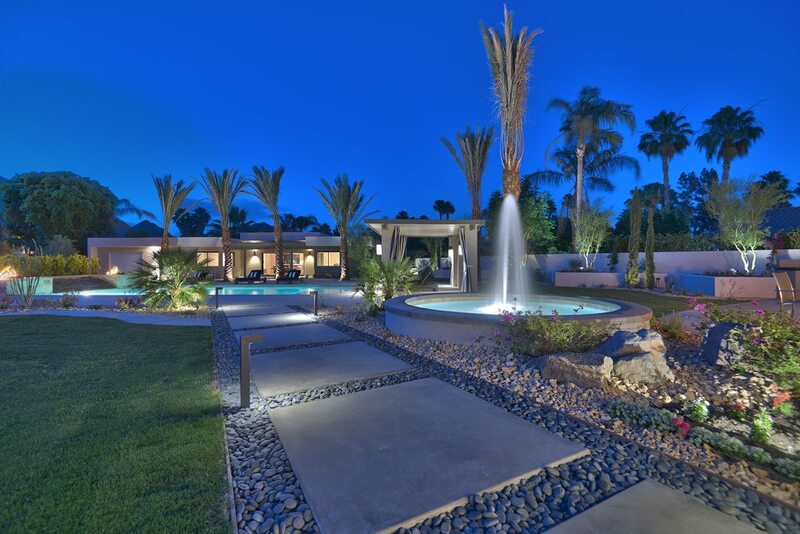 49080 Eisenhower is offered for $2,700,000 by Terry Munselle of Coldwell Banker Residential Brokerage Indian Wells.